Ubisoft has been giving away some pretty good games via the Ubisoft Club over recent months. The firm has been celebrating its 30th anniversary since June, when it gave away Prince of Persia: Sands of Time. Then it followed up with Splinter Cell, Rayman Origins, The Crew, and most recently Beyond Good and Evil in October. Now Ubisoft has given us advance notice of the game giveaway for November – it's Far Cry 3: Blood Dragon. 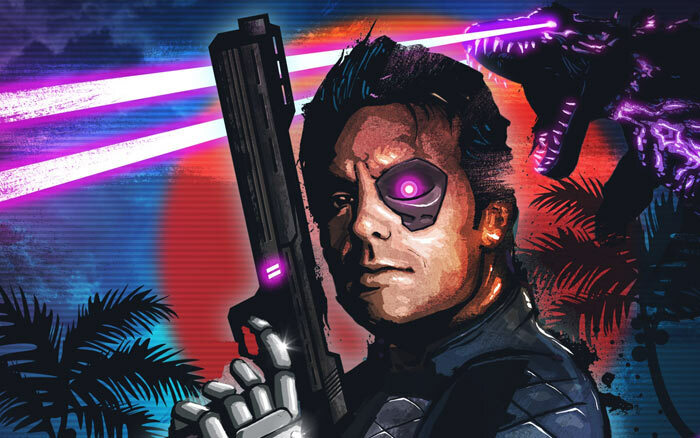 Ubisoft spilled the news about the Far Cry 3: Blood Dragon giveaway via its Club Twitter account, saying that we should "Celebrate November with some cyborgs and mutants!" The game was released in the wake of 2012's Far Cry 3 as a self-contained DLC. It uses the Far Cry 3 Dunia Engine 2 and character mechanics but in a completely different 3D world. Players get a simplified skill tree system but none of the crafting elements of Far Cry 3. As you might guess from the pictures in this article, Far Cry 3: Blood Dragon is a comedic homage to 1980s sci-fi action films. The main character is a Mark IV Cyber Commando, Sergeant Rex 'Power' Colt. Set in a 'future' dystopian 2007, in the aftermath of a nuclear war, this open world FPS game features high powered explosives, heavily modified firearms, and a large knife for you to use to progress through the missions. 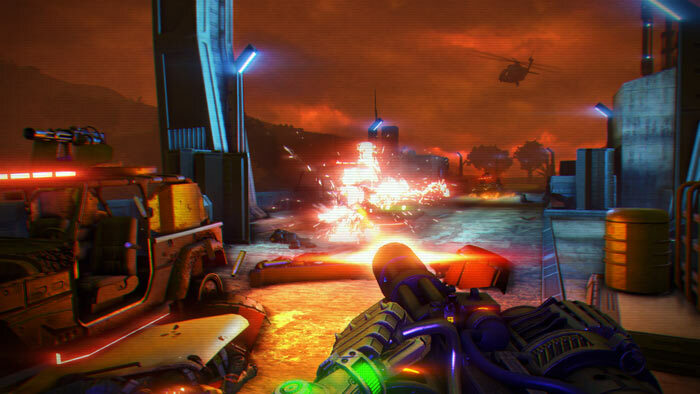 Launched in May 2013, Far Cry 3: Blood Dragon was quite a success, selling over a million copies before its debut year was over. Furthermore, this well-reviewed, standalone expansion became the fastest selling downloadable title in Ubisoft history. Today's news is advance notice. Far Cry 3: Blood Dragon is November's free Ubi30 game but Ubisoft rotates the games on the 9th of each month – so you have to wait until Wednesday 9th November to claim and download this title for free. Meanwhile, you can still grab October's free game Beyond Good and Evil. As previously, you will need the uPlay PC client to grab the title but it can be added to your library on any device where you are logged in to the Ubisoft Club online. At last!!! I got this game free with a AMD gfx card purchase years ago but the code didnt work and AMD and Ubisoft just blamed each other and I ended up not getting it so will be able to play it at last!!! It's an awesome game, sadly I already have it. Want to play this but uplay - no thanks! Wow, considering the absolute toss ancient games the likes of EA give away, this is gob-smacking! A game that was release in this decade is given away for free!!! I am still amazed!! Well done Uplay, getting better all the time.